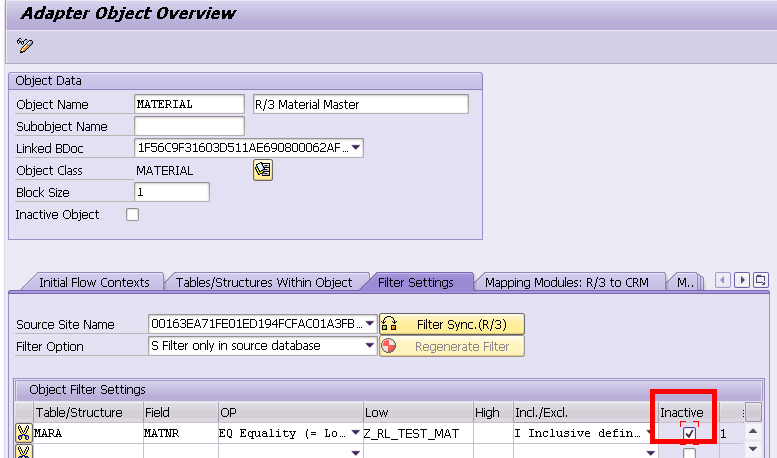 When I perform product request download, I found that the bapistructures sent from ERP only contains one entry with tabname = /SAPPSPRO/S_MAT_ENHANC_COMM without any actual material data. As a result no product is created in CRM. 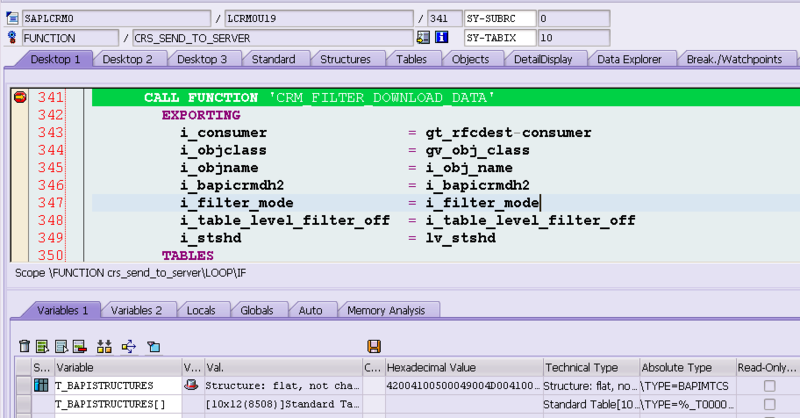 Check variable T_BAPISTRUCTURES content before CRM_FILTER_DOWNLOAD_DATA is called. Here I found the product specified in the download request in CRM via tcode R3AR2 has already been extracted successfully in ERP. As a result it must be filtered out in some part of subsequent processing. 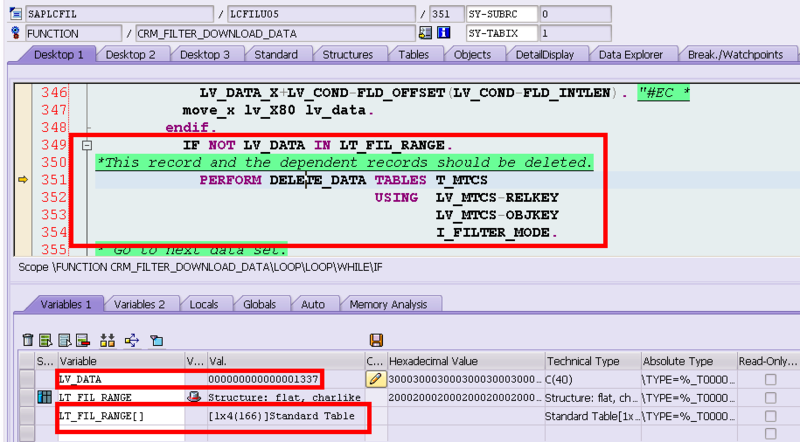 Here is the logic: if the product to be downloaded is not in the filter defefined in tcode R3AC1 in CRM ( internal table lt_fil_range )，then it would be removed from communication container in line 351. After that the request download works as expected.